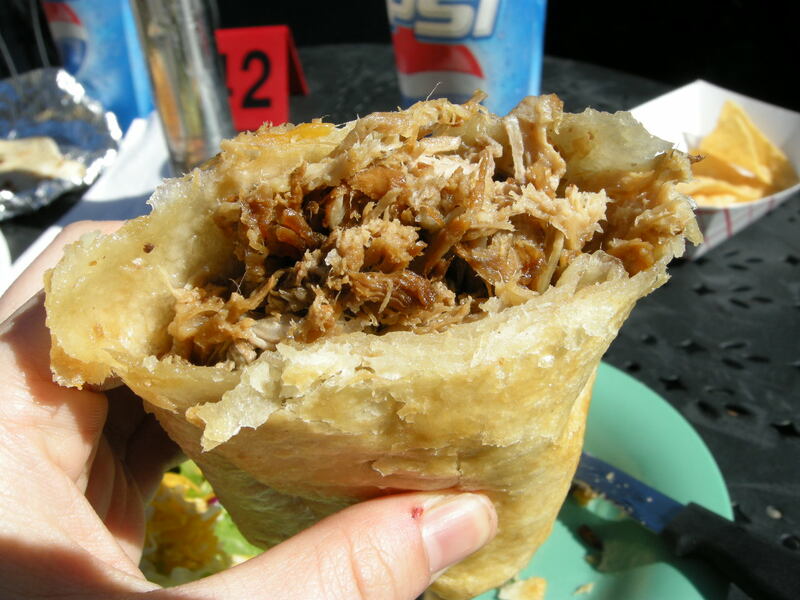 Jamie is always taunting me about these deep fried burritos he gets near his place in downtown San Jose- sounds like the best invention ever, right? (Second to a fried calamari sandwich). So of course he took me to his spot, Casa Vicky, when I got into SJ. It’s literally a little house on the corner of the street. 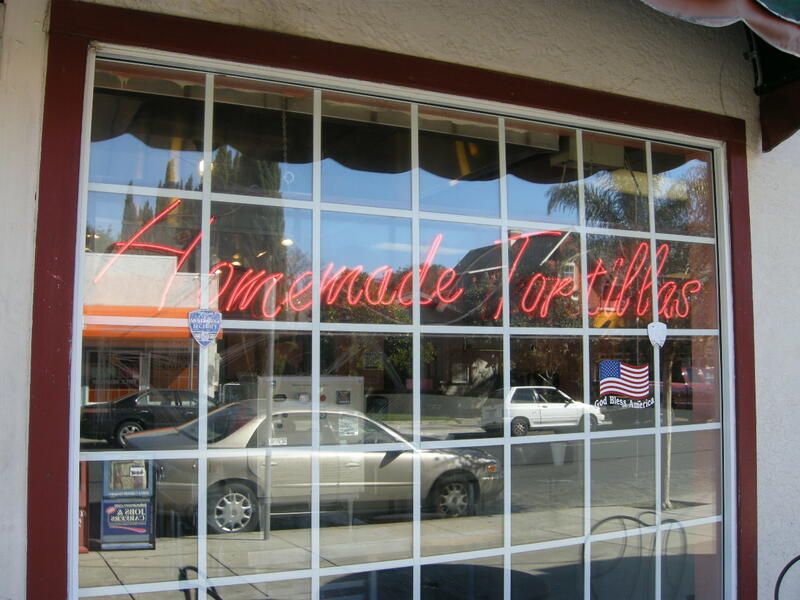 Very unassuming- you walk in, and it’s just super casual, with a glass case filled with fresh baked goods, and another with take home tamales and lots of other goodies. You order up at the register- the walls are pink! It’s sorta hard to tell in this picture, but they have a tortilla machine! Yes, they make their tortillas in-house- Jamie says that he just gets a bag to go so he can make burritos at home. JEALOUS! Alright so I had a hard time deciding what to get from their expansive, delicious-looking menu, but in the end, obviously I needed to try this infamous Dorado burrito (deep fried burrito). Of course I got it with pork. This came out- super boring looking, right? WRONG!!! This burrito was SO EFFING GOOD. Like down and dirty good. Like crack good. Like I’m actually-going-to-do-this good: :-o. (You will NEVER see me do that, except on very special occasions.) But seriously, even this lame emoticon with its jaw dropped could never properly describe how good this burrito was. I’m a real sauce person, so I needed to put lots of salsa on this- I guess my one request next time would be to get some red sauce or something with it. 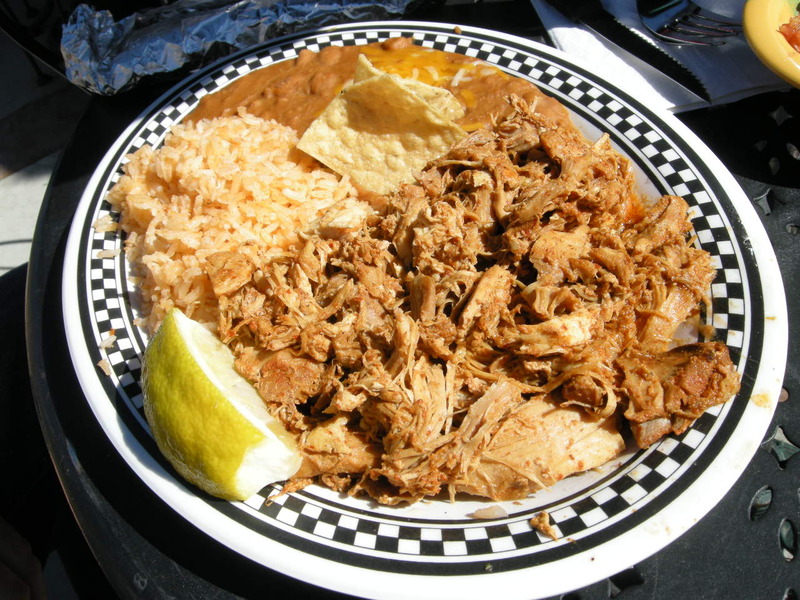 But the shredded pork (carnitas? ), SO tender! Like you know it’s been cooking for days, and it just fell off the bone. And it didn’t taste too piggy despite the fact that it wasn’t all spiced out. The pork was just top notch- definitely the highlight. Jamie got this shredded chicken dish. But enough about that- back to my burrito. You get super dirty eating this, I loved it. The burrito oozes with grease as soon as you bite in- I know it sounds nasty, but it was so heavenly! If you look really hard, you can see oil dripping off this thing. SO HOT. 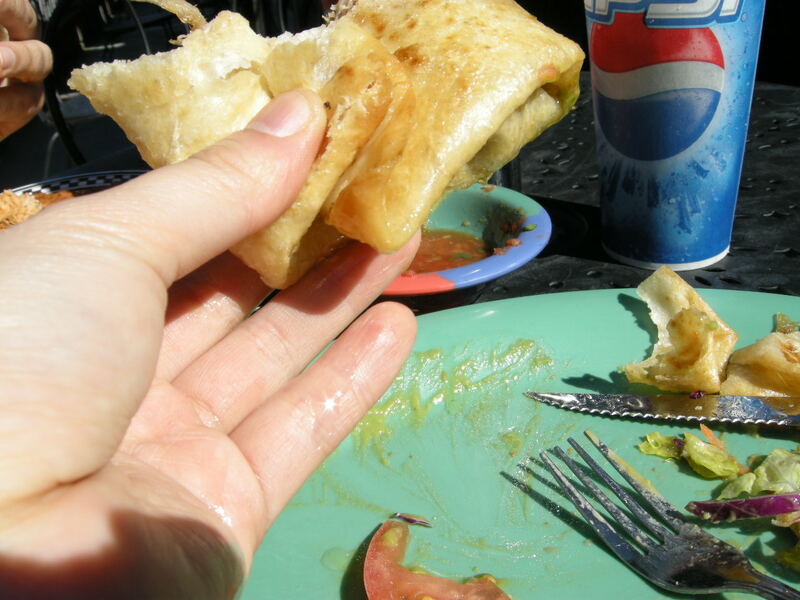 The tortilla was delicious- I have a feeling it just tastes better fried like this. Important: the oil didn’t taste all stale and used. If you’re gonna bite into a greasefest, you want it to be fresh grease at least, right? The aftermath: my hand was lined with grease- I felt so accomplished. Jamie says that he only eats this with a knife and fork. What’s the fun in that? The best thing about this burrito is that it was so damn SIMPLE! Homemade tortilla and perfectly cooked pork- just using the best ingredients and putting it together. That’s it people! It ain’t rocket science! 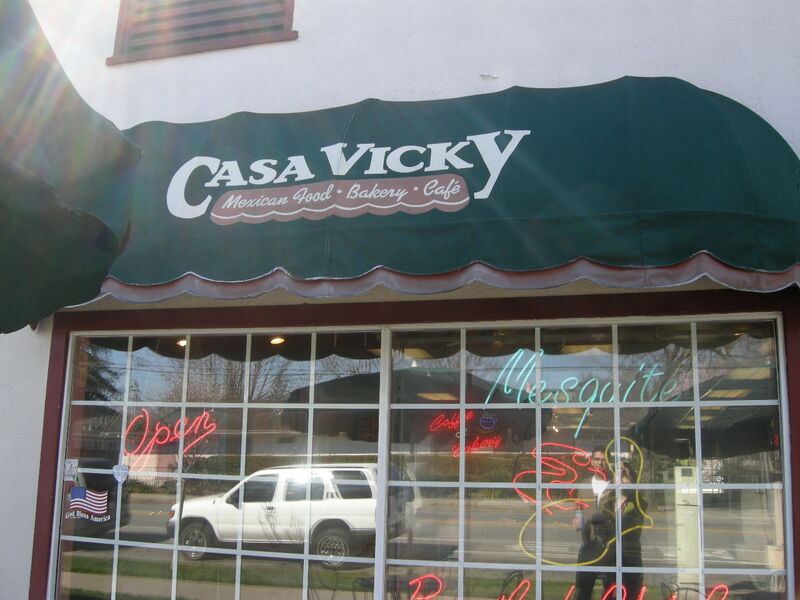 Dude seriously, if I were ever to have a wedding, or a quinceñera, Casa Vicky is so catering it. Couldn’t you just imagine me in a tiara and pouffy purple quinceñera dress with greasy burrito oil stains all over it? Um, I’m 12 years expired, but I think we should still do it. 792 E. Julian St. at 17th St. This entry was posted on March 6, 2008 at 1:25 pm and is filed under *Kayoko, Burritos, California, California Soul, Mexican, Restaurant, San Jose. You can follow any responses to this entry through the RSS 2.0 feed. You can leave a response, or trackback from your own site. 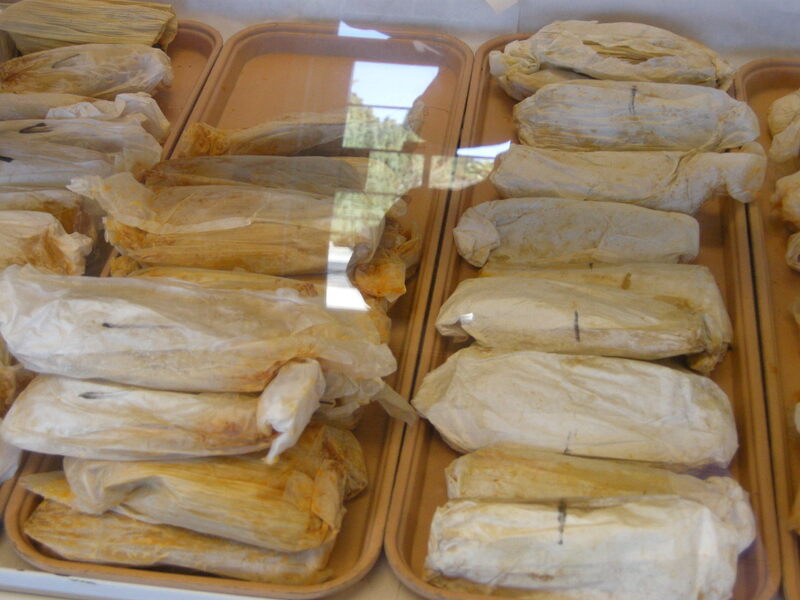 I’m a little disappointed that Jamie didn’t tell you that they shop tamales all over the country! I’m getting in on that pronto! Thanks for the tip! It really is a gem- so jealous you live so close. im no food blogger and i know this is an asian focused food blog and all, but isn’t a deep fried burrito called a chimichanga? anonymous- this is NOT an asian food blog!!! i just happen to be asian, so naturally, i eat a lot of asian food. although god knows the blog world doesn’t need any more asian food bloggers. ha. 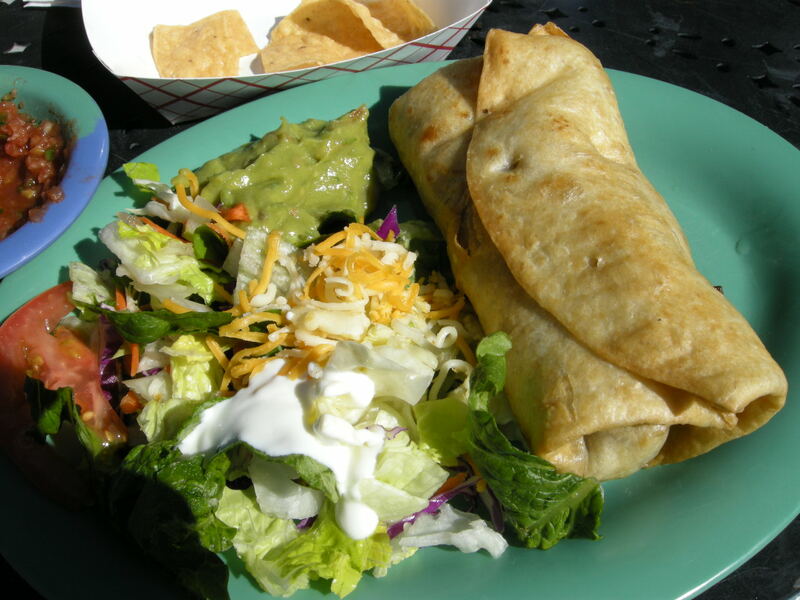 but you’re right about the chimichanga- i didn’t know that! you need to start writing for UM. DUDE this looks AWESOME! In San Jose?? Who knew!